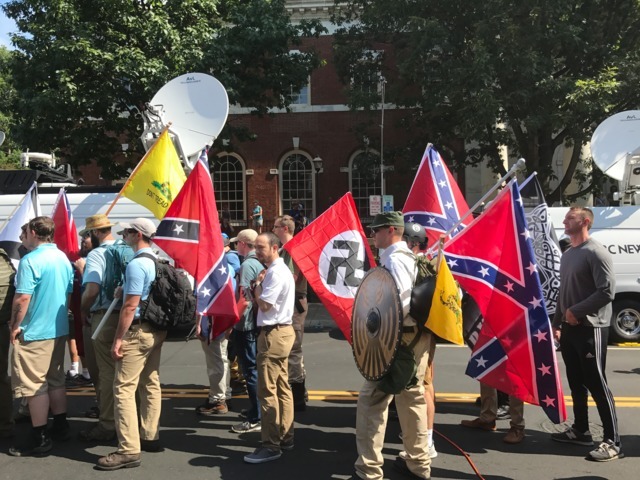 One year after white nationalists and white supremacists, including members of the neo-Nazis and the Ku Klux Klan, descended on Charlottesville, Virginia, organizer Jason Kessler is planning for a follow-up rally in D.C. at Lafayette Square near the White House this weekend. His “Unite the Right Rally” last year resulted in the death of counter-protester Heather Heyer. This year’s event in D.C. will mark the first anniversary of her death. The National Park Service approved Kessler’s application on Thursday for the two-day “United the Right Rally 2” event. Kessler, Samaria Ruiz, Mark Harriman, and Al Stankard are listed as the on site coordinators. In the application, Kessler writes that the purpose of the event is “protesting civil rights abuse in Charlottesville, Va./white civil rights rally,” and that he expects 400 people to attend.